Assist in retaining skin's natural humidity, moisturizes skin, contains anti-oxidants, and anti-aging properties. Olivella Soap is hypoallergenic and provides a soothing effect on the skin. 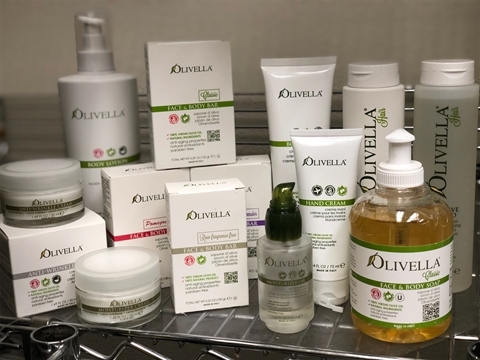 Olivella Liquid Soap is a mild and moisturizing choice for facial and body care. It is excellent for all skin types and is gentle enough for baby's skin too. A hypoallergenic blend, it gently deep cleans while the high concentrations of vitamins and natural antioxidants fight premature aging and help heal the skin. Olivella liquid soap is certified kosher. Olivella Hand Cream is an exquisite blend made from 100% Italian Virgin Olive Oil. This hand cream moisturizes and nourishes your hands leaving them soft and smooth, non-greasy. This is a wonderful soap. It leaves a pleasant, clean, but hydrated feel on face and body. I see my skin actually improving and softening with each use.